You have it all. Why would you be without the ring that symbolizes your success? This 14K white gold ring can be worn in the boardroom and the ballroom. Apples of Gold designed this ring to celebrate your accomplishments. 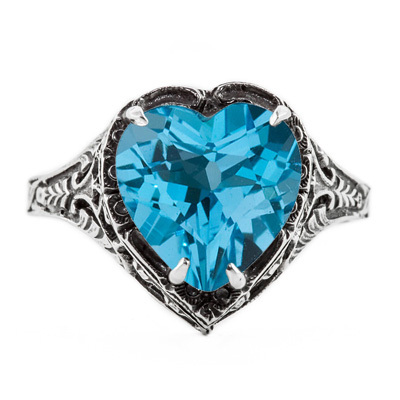 The filigree heart shaped blue topaz gemstone is securely set in hand polished 14K white gold. 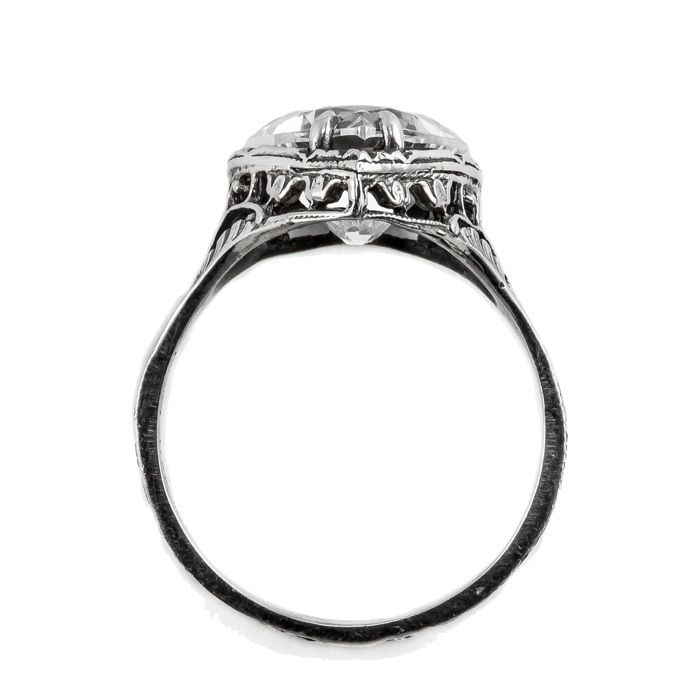 The vintage touches in the details makes this heart shaped ring perfect for you. Dress it up or dress it down, whatever you wear, this cubic blue topaz will be the perfect accessory. 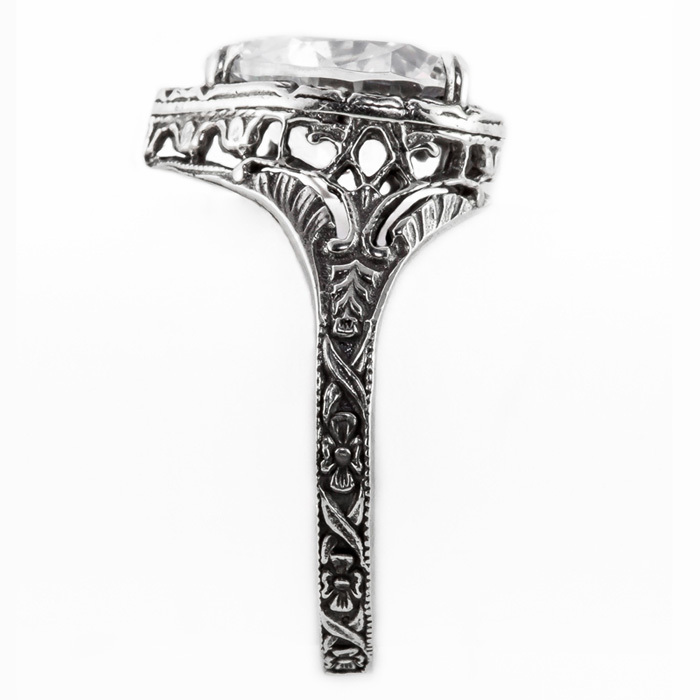 This ring measures 10mm and you can reference our ring sizing chart and then buy one today. We guarantee our Vintage Filigree Blue Topaz Heart Ring in 14K White Gold to be high quality, authentic jewelry, as described above.